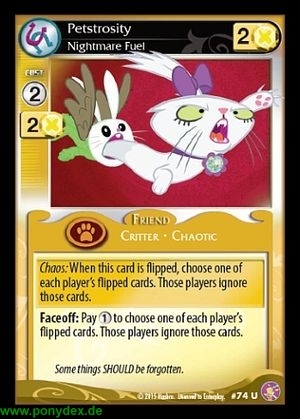 Chaos: When this card is flipped, choose one of each player's flipped cards. Those players ignore those cards. Faceoff: Pay 1 action token to choose one of each player's flipped cards. Those players ignore those cards. Some things SHOULD be forgotten.